Here is a list of articles written on our tours in Calabria and the Castelli Romani with a short excerpt from each article. Cooking by Marianna's side is taking the straight shot into the rustic, generous spirit of the region. Marianna's evening class is a whirlwind of picking vegetables from the garden and then working on a huge outside table, doing everything from chopping onions to making meatballs that go into pasta al forno. Her husband Franco pours prosecco and adds fresh-picked strawberries to our glasses. We nibble on pecorino paired with the garden's fava beans-a divine combo. Tropea is a beautiful school base. It juts out above the sea, a jumble of crumbling sandstone baroque buildings, tiny piazzas that look like opera sets. I'm staying in a 17th century renovated palazzo, right off the main square. Inside is a modern surprise: a spacious suite, sleekly designed, with filmy taupe curtains, balconies, and a laptop with Internet access. The cooking program includes a food tour of Tropea, where with Tania by my side, everyone treats me like I'm part of la famiglia. A few weeks ago we ran a piece about the island of Evia, which even now is relatively unharmed by mass tourism and where local food and wine is very good, the welcome warm and you get a feeling of real "place". Such places, of course, won't stay the same as Cyprus didn't and with the turmoil in the Middle East and North Africa many tourists, especially the more discriminating ones, will be seeking new places to go. So I was delighted to receive an email from a regular reader, Alexandros Alexandrou, telling what a wonderful time he and his wife had had in Calabria. I asked him to tell us about it. 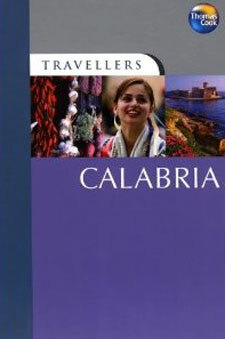 Calabria? I hear you say. Where's that? So, before handing over to Alexandros, who duly sent me a delightful account with some fine photos, let me set the scene. 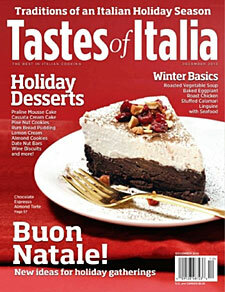 Click for Cyrus Gourmet weekly newsletter. My two classes brought me elbow to elbow with other enthusiastic and welcoming Calabrese , who were expert cooks. In a garden above Tropea, Marianna had a rustic kitchen set up where we made sugo calabrese and she showed me how to twirl dough around a thin stick to make fieja ( the region's signature pasta). She ended the meal with her special almond cookies and we dined outside, laughing and eating till two in the morning. The natives of Tropea, where Tania's based, have embraced her, so by her side I was treated like family. their faces all look familiar to me, resembling neighbors I grew up around in New Jersey, as so many Calabrese immigrated to that part of the world. Cooking in Terracina - blending the bounty of land and sea. Here in the Lazio region ( where Rome sits center stage) Moscato di Terracina is one of the areas most beloved wines. and lucky me, I happen to be sitting exactly where it's produced: Terracina, an idyllic seaside village. I've come to Terracina as part of In Italy tours program, to enjoy and learn about the culinary delights that abound along this coastal stretch south of Rome, called the Ulysses Riviera. 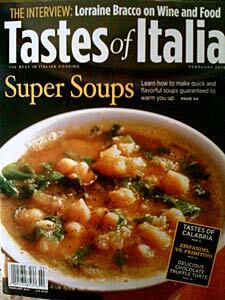 Our cooking classes in Tropea have been selected and listed in the Thomas Cook Traveller to Calabria guide book. 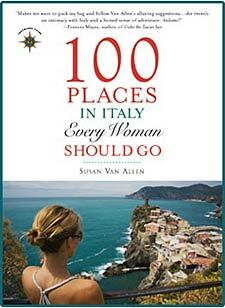 Sure, many of us know and have visited the two most popular Castelli, that are easily reached by train from Rome. There's Frascati, famous for it's wine and the impressive 16th- century Villa Aldobrandini, surrounded by abundant gardens. and there's Castel Gandolfo, which grandly sits above Lake Albano, with it's palace that's home to the Pope in the summertime. Anna Dente in San Cesario- Queen of Amatriciana Here is where those foodies say the dying tradition of authentic Roman cuisine is being expertly preserved.